Our main focus at Ultra Smile is to improve the appearance of a person’s teeth, mouth, and smile. With the help of technological advancements in natural-looking, tooth-colored dental materials, cosmetic dental treatments are more durable and predictable than in the past. We offer an array of procedures, all metal-free that can help you in achieving a smile makeover! Botox and fillers are now offered as well to complement the beautiful smile. To learn more about the procedures, click here. General dentistry is the traditional dentistry that focuses on oral hygiene and preventing, diagnosing and treating oral disease. Our services are related to the maintenance of oral hygiene and tooth health. Cleanings and necessary restorative procedures will fall into this category. To learn more about the procedures, click here. Our mission is to create a dental spa environment that is of ultimate comfort, modern, safe and clean where the best quality of care is available to our patients. The care provided will be meticulous, uncompromised and attentive. The care provided will be rendered with the latest technology, state of the art equipment, and with the highest end cosmetic materials and products that will help us in achieving most beautiful and long lasting results. The care provided will be given by a team that is patient, courteous, friendly, and understanding. The care provided will make our patients highly satisfied and in turn bring the team of Ultra Smile constant gratification and satisfaction. 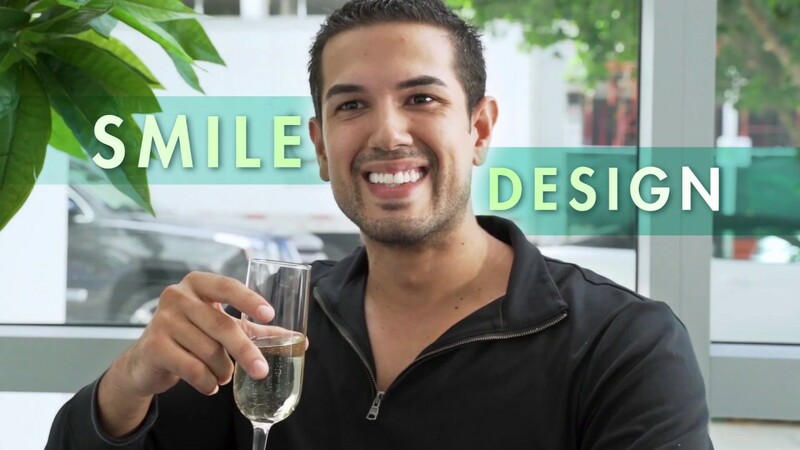 Why Choose Ultra Smile Dentistry As Your Miami Dentist? Dr Bahmadi keeps up to date with latest technology and state of the art equipment to perform the dentistry her patients deserve. She believes it is important to perform with great quality products for long lasting results. She continues educating herself through webinars, podcasts and conferences and is an active member of the ADA, FDA, SFDA, AACD, AAFE. We are able to provide same day crowns, affordable invisible braces and complimentary whitening once a year to all our patients. Contact us to learn more about our program. Our Miami Dentist office is a modern and relaxing spa like environment. You will be welcomed with a refreshing drink and snack. During the treatment, you will enjoy the aromatherapy scent chosen exclusively for you to help you relax and breathe better while catching up to your latest TV show on Netflix as the doctor is working in your mouth. To complete the spa experience, you will be handed a scented hot towel to freshen your face up and clear off all the debris that were splashed on you. Dr. Bahmadi maintains the highest standards in Dentistry by using the latest techniques and bringing her patients the most up to date technology. Professional staff! The doctor took the time to explain everything to me about my cavities and also my impacted wisdom tooth. She was not rushed like other doctors although the office was packed! Great experience. They gained my trust. I found my dentist! I have the good fortune of going to Dr. Neda Bahmadi. She has done a couple of bondings on my broken teeth and she does a specular job. Her work looks natural and no one can tell I have bonding on my teeth. Her office also does my cleanings every 6 months. I like them so much that I started going more regularly for cleanings. Everyone there is very professional and the offices are immaculate. I will recommend Dr. Bahmadi 100%. Her work is TOP CLASS. I moved to Miami 10 years ago and I finally have a dentist I can trust with all my dental work. Thank you Dr. Bahmadi. Great care of his clients! He listens attentively and is honest with his assessments. I'm also surprised at how readily available he is. Recently, I had two fillings. He administered pain medication through some hi-tech needle (medical lingo). Anyways, I didn't even feel the shot. Very impressive! Dr. Bahmadi is the ultimate professional, she has a great eye for aesthetics and treats your teeth as if they were her own, definitely recommend. Great experience with the office from when I walked in until I was completed with my appointment. Sandra does a phenomenal job on the cleaning and is very thorough. Make sure you park in the Courtyard Marriott parking garage (they will validate) and don’t make the same mistake I did by parking in the surface lot. Some procedures may be required, but like with my experience get a second opinion before paying extra for their unnecessary tests and procedures. Their deep clean in some cases could be a scam and if you refuse the deep clean you will not be able to return for a regular clean - If you do the deep clean then regular cleans will become "maintenance" cleans which they consider different and be careful as you may not be covered for it. Do yourself a favor and find a dentist that is more about looking after your teeth than trying every which way to squeeze more money out of you. Beautiful office!! Dr Neda was fantastic! She’s knowledgeable and super nice! I’m not good with pain but she was so gentle I didn’t feel a thing! I highly recommend her! ?? Xray, Check Up, Routine Cleaning I hadn't have a cleaning for awhile due to insurance and moving a lot. Once settled down and still bit new to Miami I found a dentist around where I live which is covered by Florida Blue insurance. I'm impressed by the staff here. Especially Jazz, Amanda, Jessica and Dr. Bahmadi are all friendly, very informative, and personable. Great location central to downtown Miami. Any questions, fears and anxieties I had were all answered and with such knowledgeable and courteous staff. They made my visit more calm which put me at ease. Pricing is good. I'd recommend to friends. I’ve had a lot of dental work done and I am glad I am doing it here. The doctor and staff are very friendly. I appreciate the honesty and insight they give and have had a much better experience there than other offices. Definitely recommend. Excellent service. Very professional office that cares about their patients and their time. If your appointment is at 10am, you’re being seen by 10am. Better yet, the quality of their service is the cherry on top. I’ve never had such a good cleaning. Most other dental practices try to turn and burn patients. Ultra smile really takes the time to do a good job. I highly recommend. The service was quick and the staff were all very friendly. The reception area has a very strong perfume smell but I got used to it after a few minutes. Both the Dentist and the Debra Hygienist were very nice and professional. There is no other place i would go for my dental needs than Ultra Smile Dentistry. They have a very nice and experienced staff and a very clean modern facility. They are honest and look out for your best interest unlike most places in Miami looking for a quick buck. Go and experience it for yourself and see. Dr. Bahmadi has created a place where quality dental care meets personalized service with purpose by putting the patient first. The dedicated and highly trained staff make the patients visit efficient and impactful. From the front desk to the back office a patient can expect to be treated like family. Ultra Smile Dentistry utilizes cutting edge dental technology and targeted healthcare strategies to achieve results that matter. Hygienist S. Bolivar offers helpful tips on how to brush, floss and maintain good oral hygiene. Also be sure to ask about the complimentary teeth whitening benefit. It is easy to forget you are at the dentist office as the feeling lends itself to being at a health spa. For these reasons and many more, I highly recommend Dr. Bahmadi and Ultra Smile Dentistry. Great dentist! Dr. Bahmadi is courteous, prompt, and professional. Highly recommended if you’re in need of a check up and in the neighborhood! Dr Neda is always pleasant and her work is highly professional. I always receive top notch care. Her staff is so nice. My cleanings are thorough. Wait times are short. Really impressed ! Love that I found a great dentist in Miami ! Loving the results of my Invisalign. Great service and you can't beat the convenience if you work in Downtown, you can go during your lunch break. Friendly staff and excellent doctor. I’ve been going to this practice since 2015. I am content with the facilities, customer service, billing and care. I never had enjoyed going to a dentist practice, but my experience with Ultra Smile has been so positive that I now look forward to my appointments at Ultra Smile. I even take my husband and kid to this practice, and have recommended it to my colleagues and friends. Thanks for all your hard work, you are all doing great!! Excellent staff and great doctor really helpful and comprehensive. I wish I could afford the invisible one but I couldn’t I have to put visible braces. It was a great experience doing my cleaning and my filling with them. Great services highly recommend! Excellent service! The dentist and staff are very attentive. I Love how my teeth turned out. Highly recommend! Ultra Smile made me ultra happy! Really conveniently located near the Metro Mover stop, and great ease of setting appointments. The front office was really courteous and resourceful. They kindly explained my dental insurance coverage and made sure I was clear on the cost of service. Loved the attention to detail with my teeth and gums, as well. Dr. Bahmadi was gentle, calm and confident. Big plus: office space is really nice - modern and bright, and Netflix on screen when you're getting your teeth taken care of. Great experience all around! Ultra Smile dentistry office is a cosy urban office with friendly, professional and well spoken team. I have received a thorough professional evaluation from Dr. Neda and a proposed plan to tackle my dental problems. My last two visits made me feel confident about Dr. Neda and her team's knowledge and competence. I used to hysterically panic at dentist's, but not anymore with Ultra Smile Dentistry. Great job and congratulations on your outstanding service! Excellent staff, dentist, hygienist. Very comforting, professional service. The hygienist is awesome! She listens to my concerns and treats me with such care and patience. Dr. Neda is an amazing and extremely knowledgeable dentist. She is accurate, careful and confident. She knows what she is doing and makes you feel at ease. Her work is perfect, painless and professional. Recommend her, and her staff, 100%. I am happy to say that she is my dentist and the dentist for my entire family: husband, and two adult kids!! The staff is great! They greet me by name as soon as I enter always so friendly. The day after I saw the doctor she herself gave me a call and asked how I was doing and if I was in any pain. Love those little details you never see that anymore with doctors ! Never going to anyone else for my teeth! I always had a great experience! The staff is great and the doctor is friendly and does great work! They have all this new equipment and latest technology. Super trendy and modern office! So happy with my experience at Ultra Smile dentistry! I was very hesitant about finding a new dentist in downtown Miami being that I am from out of state. I started my Invisalign process in June end could not be happier !! I highly recommend coming here ! Cute office and great staff. I had a really bad experience with Neda Bahmadi. I do not recommend this doctor. She showed to be very inexperienced and careless with me as a patient. If you are looking for a true professional to trust your dental health to, do not consider this doctor. I noticed her hesitating while working on my dental issues. I discovered she wasn't very confident on the work she was doing on me. Apart from that, after working for two hours on me (yes, I had to have my mouth open for 2 hours for a minor issue), she left the room without saying a single word, left me with my mouth open waiting for her, bleading and hurting, and she went to take care of another patient for which she was late for. When she came back and saw my frustration, and after all the office knew of my pain and bleeding, she prescribed me pain medicine and let me go, without ever reaching back to me, not even for an apology or to check on my health. The staff never reach out to me, not even for my next appointment, which shows that they were very aware of the situation and were ashamed with the bad experience I had. The work she did on me was so painful that left me with a very serious head ache for days. Apart from that, I can say her front desk staff is somewhat rude, I can say this because I went to multiple appointments and got this sense from them. Experience is great here. Staff is easy to reach and make appointments with. They have the latest technology making the entire experience easier, from reminders on appointments to dental imaging for faster and better solutions. And Dr. Bahmadi does good work. I have never been a fan of going to the dentist and avoided any dental care visits as much as I can for years. Three years ago when I moved to Miami I decided to look for a place to get my teeth cleaned and a friend of mine recommended Ultra Smile. I've been going there since and will never look for a different place to go. The office is impecable, everyone is friendly and qualified to perform all services I've gotten. If you want excellent service and a dentistry you wont be afraid to go back, this is the place to go. I highly recommended it!! The dentist and staff are conscientious and very easy to work with. They really treat their customers very well. They also tend to be very competitively priced when services aren't covered by dental insurance! Just recently went to Ultra Smile to get a cleaning, bleaching and new crown. The service was great and couldn't be happier with my experience. Staff was very qualified and friendly, office was state of the art and I was able to get my crown changed on just ONE visit. Had never been to a dentist that provided same crown day changes... AMAZING!! Highly recommended. Excellent care involving the emergency repair of a loose crown. Dr. Bahmadi is an experienced professional who just earned me as a new client after I moved to Miami from Chicago 2 months ago. The Ultra Smile team were very friendly and did an extraordinary work at making me feel comfortable at all times. They went out of their way to work with my schedule and insurance. They gave me clear instructions after experience consult and walk me true every step of the process. Trying Ultral Smile for the first time was a great experience. This location was great. Every member of the staff was very nice and welcoming. The service was smoothe and everything ran on schedule. I would definitely recommend this location to anyone looking for a dentist. Absolutely amazing place!! Friendly staff, clean environment, and very professional. Sandra does my cleaning every 3-4 months and she is absolutely the best in town! Dr. Bahmadi is great and very trustworthy. Can't wait to star my invisilign with her very soon.. Thank you Ultra smile!! As a new patient, at Ultra Smiles Dentistry I was given a very kind welcome, everyone seem to really love their job- which made it a pleasant experience for me, the office itself was very nice, clean, and well organized. When I met with Dr. Bahmadi, I was very impressed; She was friendly, knowledgeable, and very professional. My overall experience there was very pleasing; I will be recommending my friends and families to go there! Excellence through Humanity! This place is really great, I mean who like`s to go to the dentist? But the professionalism and the care of the staff here make every concern disappear. I regularly go for my cleaning and i had a little surgery last year I must say this is really one of the best dentist I ever been in, Is also very conveniently located in Downtown place of work for many. Dr. Bahmadi always offer a complete and range of options and clearly explain all the procedures, taking the time to answer all the questions and never rushing. My wife also has choose this venue as regular cleaning and consultation we could not be more happy! Beautiful people in a warm and friendly atmosphere. This office handles with great skill even the most nervous of patients. I'm so happy to have found them in the heart of downtown Miami. Legend Bout That Money Ent. This had to be the most enlightening experience I've ever had at a dentist. I went in for a basic cleaning and found out a better way to floss and how my last dentist was slacking. The wait was short but I grabbed a complimentary fiber bar in the meantime. They've though that of everything. Great place! I was happy with the cleaning itself, but in all my years as a patient I have never not had the dentist review my teeth at the end of my cleaning!? The hygienist said the dentist only reviews the patients teeth once a year?? What if I have a cavity, or there is an issue with my gums that build over the last 6 months? No hello, no face, nothing from the dentist? This to me is extremely lazy and creates no patient and doctor relationship. I come from a family of doctors and am very aware of good and poor bedside manners. I don't usually write review, but I think I should for this. I wanted to like this place but ended up in big disappointment. The first couple of times was fine not until the last time. They charged me for service that I didn't do and when I did the deep cleaning they did not tell me that after a deep cleaning with them you can no longer return to a regular annual cleaning permanently :( I did a deep cleaning as recommended by them. So months later after I was done with the deep cleaning, I came back for my maintenance cleaning and the lady at the front desk told me that I will not get back to my annual cleaning permanently (covered by the insurance) and that I would stay at maintenance cleaning paying out of pocket forever. When I questioned the hygienist she said she did told me that I will be on three months maintenance cleaning after the deep cleaning. (but she did not tell me that it is permanently and will not return to annual cleaning that being covered by the insurance, so I need to pay out -of-the pocket for the maintenance cleaning with them forever....that's hundreds of dollars for every three months). When I was trying to find out the reason why I do I have to keep paying out-of-pocket forever instead of getting back to my regular cleaning in the future, the hygienist asked me "Is money more important to you or health more important to you?" Her response shocked me and not having said that she can't answer my question. I later let her proceed with my cleaning since I have already took my time out from work. However, when she started to measure how deep my teeth were, it was the MOST painful teeth measurement I have ever had and I shouted "Ouch" out loud twice. I told her she gone too deep. The hygienist said "no, I was just reaching to where it supposed to stop". Seriously, this isn't my first experience with teeth cleaning and it was not the first time the same hygienist did a measurement on me and it was never like that. Go figured. Also, I did not do bitewings X-ray that day, but they charged me for the service that I did not do. I paid what they asked for (they did not provide a receipt with cost breakdown) and not until I received the claim summary in the mail from my insurance company that I found out they charged me for service that I didn't do. I did deep cleaning elsewhere in the past with a different dentist before I moved to Miami and it was awesome and it was never the case that you won't be able to return back to your regular annual cleaning permanently after a deep cleaning (you could return back to a regular annual cleaning eventually after a period of maintenance cleaning). Best dentist in town! Super friendly staff. I have never waited to be seen for my appointments. Plus free whitening!! doesn't get better. Dr. Bahmadi's cordial staff immediately set up my initial appointment, and Dr. Bahmadi personally was involved in all aspects of diagnosing and with treatment of my dental conditions. I am very pleased with Dr. Bahmadi's patient friendly personality, vast categorical expertise, incredibly gentle, pain free, corrective surgical skills, leading edge dental appartus, positive "can do" attitude, and wonderful oral care results. You can be confident from the minute you come in the door, you will be met with the most accommodating staff of professionals, from the receptionists, to oral hygienists, X-ray technician, to Dr. Bahmadi herself. I recommend Dr. Bahmadi whole-heartedly. My time at Ultra Smile Dentistry office has always been good. Everyone there is always respectful and joyous in greeting a patient.They always remind you of your appointment (s) to ensure you are able to make it or they are willing to make corrections for you. Dr. Bahmadi is so patient and caring of each patient as well as each staff member being equally caring and patient.This Dental office is a no pressure office. Every decision is your decision. I greatly appreciate each employee's positive attitude and attention given to each person. Thank you. Always a great experience! Felt at ease and walked out with a million dollar smile. I had a broken front tooth and fillings. Best experience visiting the dentist by far with the professionalism and environment. UltraSmile is top-notch. I experienced an attentive, friendly team of dental professionals conveniently located Downtown in modern, comfortable facilities. The best place ever! So clean and professional! Neda is honestly so warm and caring. I trust her with my teeth no questions asked! Couldn't be happier with Ultra Smile and Dr. Bahmadi! Switched dentists from one in Brickell a few months ago and must say that it was the best decision ever. Dr. Bahmadi is extremely talented, professional and works with you. She is well rounded by improving your mouths health while paying special attention to aesthetics. Her staff is very friendly and office is very modern with new equipment! My girlfriend recently switched and she couldn't be happier either. Wouldn't think twice in making an appointment! Nothing but quality work from day one. no long waitings. very clean place with aroma and therapeutic music & visual scenes to help you relax. when i left the place it felt like I just came from a massage parlor for teeth. to jobs. Thank you ladies. The offices and the team are lovely and top notch. Dr. Neda is just excellent, as well as very personable. I personally recommend this to everyone living in Miami, you won't get better attention and higher quality services. Great staff and facilities. On time and very pleasant visit to the dentist. Dr. Neda Bahmadi was very patient and informative. Gave me great options and honest opinion. Office space is tastefully decorated and equipment was very clean and high quality. I will recommend her. Thank you and looking forward to my next visit! Professional, efficient, and up to date with technology. Who wouldn't want to get work done on your teeth while you Netflix and chill. Literally!!! Beautiful office, friendly staff and caring service. They think of everything from sending a text to remind you of the appointment, offering water/coffee and validate parking near by. Makes going to the Dentist a little less stressful for sure! My visits to Ultra Smile are always pleasant! Which says a lot, because when are visits to the dentist ever that way. I love this place! I dont mind the drive and deal with the horrible downtown traffic to see Dr Neda. She is so professional and friendly. I am getting invisaling with good results :) and teeth cleaning every 3 months. The girl in the front desk with braces is so friendly, 5 stars for her. This place offers free parking, what is very important and bilingual staff, nice waiting area. This guys are amazing! Fast scheduling and best class service. I found them to be very professional and truly caring about your oral health. First time in years I find a dentist I can trust. Great staff and attentive to detail. Thank you Dr. Bahmadi for taking care of me. I have recently moved to Miami and as always with a new city was concerned about finding a new dentist, doctor, etc. I was referred to Neda and Ultra Smile by a colleague of mine. I work downtown, so the walk to her office was very convenient for me. The service I received exceeded my expectations. I was not kept waiting and was treated kindly. Neda was a professional and very thorough. The rest of her staff was the same. I am relieved to have found a dental office that is both in a convenient location and up to the professional standards that I expect. Everyone at Ultra Smile is nice and professional. Dr Bahmadi is very knowledgable and presented all the options for me, I didn't feel pressured to do any treatment. The place is modern and state of the art, very calming as well. Dr Bahmadi also speaks French, which was a plus!